This section plays an important role in scoring. 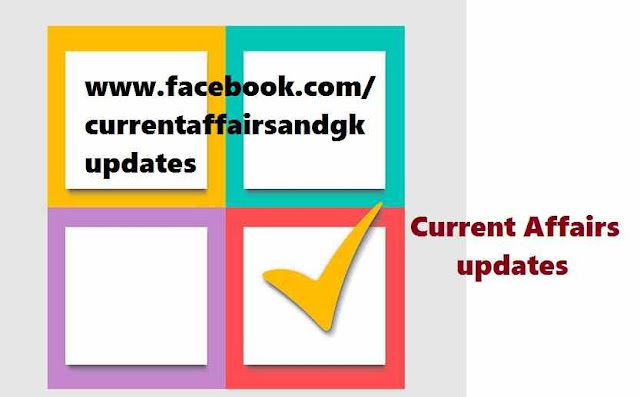 Current Affairs updates till 16th October are covered.Updates on 13th October,14th October,15th October and 16th October 2015 are covered. These updates on Current events and recent happenings are very useful in upcoming recruitment examinations like SSC (Staff Selection Commission),RRB (Railway Recruitment Board),IBPS, RBI and SBI Recruitment and other Bank Recruitment examinations,Postal,Insurance and other state level recruitment examinations like TSPSC,APPSC,Haryana Board etc. 1.Matsa Santoshi and Sushila Chanu,the Indian Weightlifters won gold medal at the ongoing Commonwealth Youth,Junior and Senior Championship held at Pune. 2.Google is the best MNC to work for (According to World's Best Multinational Workplaces 2015 Survey). 3.Top-6 in the list(World's Best Multinational Workplaces 2015) are Google, NetApp, EMC, Microsoft, Monsanto and American Express.Not a single Indian company features in the top-25 list. 4.Sourav Ganguly,former Indian cricket captain was unanimously elected President of Cricket Association of Bengal. 5.Indian seamer (Cricket) Zaheer Khan has announced his retirement from international and first-class cricket.Zaheer will continue to play in the IPL for one more season. 6.Angus Deaton won Nobel Prize in Economics-2015.He has been named the winner of this year's Sveriges Riksbank prize in economic sciences in memory of Alfred Nobel.Deaton is a Britain Britain-born economist. 7.Jamaican novelist Marlon James won Man Booker prize-2015 for Fiction. Marlon James' "A Brief History of Seven Killings" fetched him this prize. has been named after Dr.APJ Abdul Kalam Missile Complex as a tribute to the later former President.